Are All Henna Products 100% Pure & Chemical Free? Home / Health & Lifestyle / Are All Henna Products 100% Pure & Chemical Free? The answer would be no, not all henna products are 100% pure and chemical free. Even if they advertise it as “natural” there may be PPD etc. in it. Before you buy henna from a vendor – whether it’s from a brick and mortar store or online, make sure you’re buying it from someone who knows their products well including exactly where they’re sourcing their products from. A vendor that cares enough will get their products tested for quality by an independent lab. A lot of the henna store owners out there will buy their products just based on price and not on quality because their motivation is making money and not to bring you a quality product, to change the world or free it of harmful and synthetic chemicals. Here’s a recent incident from March of this year, which was reported by Fox News Health, to illustrate that not all henna products available on the market are 100% pure and chemical free. Chemese Armstrong, from Austin, Texas, discovered she had an allergy to PPD (paraphenylenediamine), a harmful chemical used in most permanent hair dyes, and her dermatologist recommended she use henna to color her hair. So, she went to have her hair dyed with henna, which if pure does not have PPD. Before coloring her hair, the stylist even did an allergy test, which did not result in any reaction. They went ahead and colored her hair with the “pure PPD-free henna” and a couple of hours later Armstrong ended up with a really bad allergic reaction to the henna, which obviously contained PPD, to where she ended up in the Emergency Room. Consequently, Armstrong reached out to question the salon about the henna but they did not respond. This type of behavior is sheer carelessness on the part of the salon owner. If the salon owner in Austin did not know that the henna contained PPD, that’s not ok. They better know what exactly it is they’re selling. They did not care enough to make sure that their products were 100% free of chemicals or they would’ve gotten the product tested by an independent lab to hold their vendor accountable. We at Natural Nirvaan would like everyone out there to be aware that 100% pure and natural henna and indigo hair colors do not and should not contain any chemicals. 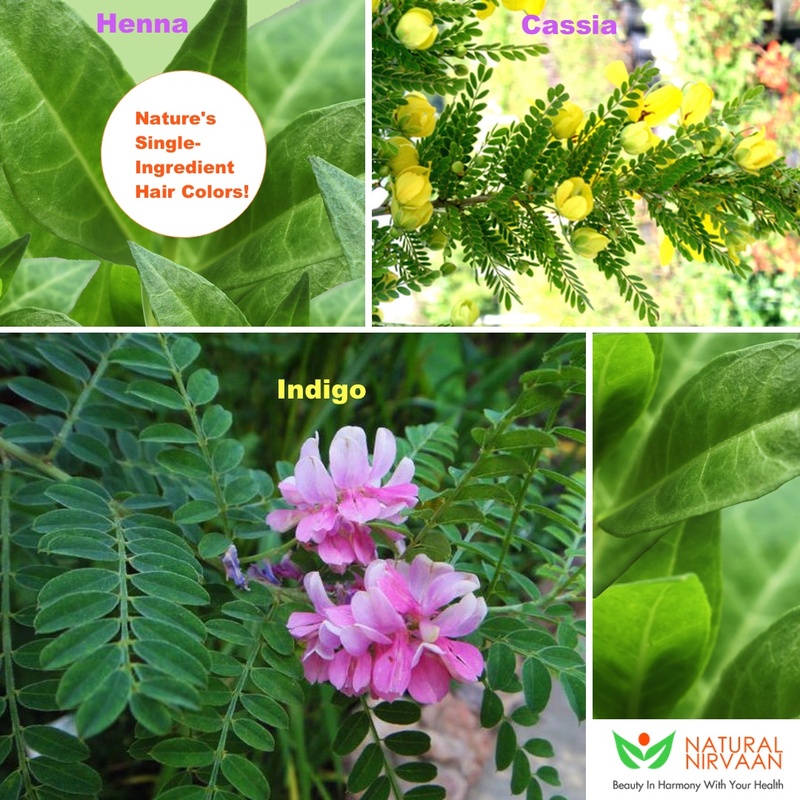 Henna, indigo and cassia are single-ingredient products. It’s unfortunate that henna, indigo and cassia hair colors get a bad name because of the unscrupulous practices of henna manufacturers fed by the demand of sellers that buy these products and pass them off of as 100% pure and natural. We care about your wellbeing and want you to have a safe and lovely henna journey, please educate yourself about what pure and natural henna, indigo and cassia hair colors are, how they work and what you should look for. If you take the right path to henna hair color – purchase the right product, color your hair the right away, we assure you, this will be the most beautiful and healthiest your hair has ever been. Previous post: ¿Qué es la alheña y cómo él color de su cabello?